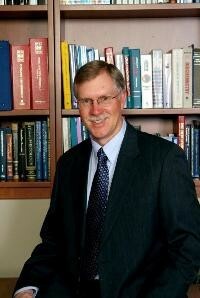 Dr. John D. McKellop attended Michigan Technological University to receive his undergraduate degree in 1974. He went on to earn his dental degree in 1978, at the University of Michigan. Dr. McKellop also earned his NERB in 1978. Dr. McKellop is a member of the American Dental Association, Michigan Dental Association, and the Resort District Dental Society, where he also served as past president. He is a member of Omicroa Kappa Upsilon, a Dental Honor Fraternity. A Cadillac native, Dr. McKellop graduated from the Cadillac High School class of 1971. He and his wife reside in Cadillac. His hobbies include training and campaigning their golden retrievers on the hunt test circuit. He also enjoys fly fishing, skiing, windsurfing and bird hunting. Dr. McKellop is a board member, and past president of the Pine River Area Chapter of Trout Unlimited. He is also a member of the Mackinaw Trail Fly Fishers and the Great Lakes Hunting Retriever Club.